When dealing with the financial hardship that leads to bankruptcy, it is important to have an experienced and knowledgeable attorney in your corner. 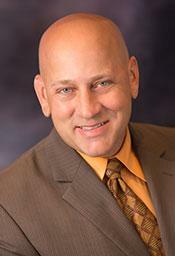 Attorney Chance McGhee has been working with clients experiencing financial difficulties for over 20 years. Committed to helping clients get a fresh financial start, the Law Offices of Chance M. McGhee offers cost-efficient, considerate and compassionate bankruptcy counsel in San Antonio and throughout Texas. 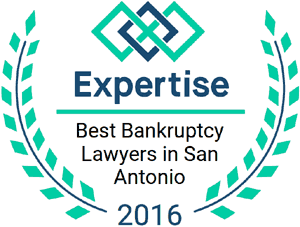 Attorney Chance McGhee is a highly respected bankruptcy attorney in the San Antonio area and beyond. He served as the past Treasurer for four (4) years and is currently a Director of the San Antonio Bankruptcy Bar Association. He is a member of the Federal Bar Association and licensed to practice Federal Bankruptcy Courts in the Western, Southern and Northern Districts of Texas. He obtained his Doctor of Jurisprudence degree from St. Mary’s University School of Law in 1994. With an undergraduate degree from University of Texas in Austin in Management/Accounting which he obtained in 3 ½ years from 1984-1987, Mr. McGhee is skilled in analyzing financial documents and understanding debt situations. He uses his background and knowledge to recommend the best course for his clients whether it is Chapter 7 bankruptcy, Chapter 13 Bankruptcy, or something else. Having handled thousands of consumer and small business bankruptcy cases, Attorney Chance McGhee understands that financial crisis can happen to anyone. Unexpected events can derail even the most solid financial plan. Helping you take control of your finances, stop creditor harassment, and prevent home foreclosures are his primary goals. We work closely with our clients and ensure you understand every step of the bankruptcy process from beginning to end. If you are in financial crisis and are considering bankruptcy, contact us to schedule a free initial consultation with Attorney Chance McGhee. Our firm works with clients in San Antonio and throughout Atascosa, Bandera, Bexar, Comal, Dimmit, Frio, Gonzales, Guadalupe, Karnes, Kendall, Kerr, Medina, Real, and Wilson Counties. The Law Offices of Chance M. McGhee, in San Antonio, Texas, provides debt relief and bankruptcy representation to individuals, families, and businesses in New Braunfels, Boerne, Kerrville, Schertz, San Marcos, Helotes, Bandera, Grey Forest, Hondo, Leon Valley, Seguin, Pleasanton, Pipe Creek, and Medina, as well as Bexar County, Bandera County, Comal County, Kendall County, Guadalupe County, Karnes County, Wilson County, Frio County, Atascosa County, Dimmit County, Real County, and Medina County.